A Southwestern Ontario cannabis producer secured a $39-million loan from one of Canada’s Big Five banks to buy its sprawling property southwest of London. 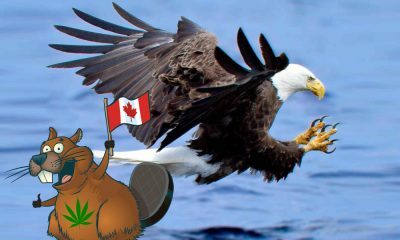 The deal between WeedMD, a marijuana grower with operations in Strathroy and Aylmer, and the Bank of Montreal (BMO) is the second in less than two weeks between a major Canadian bank, some of which have been hesitant to do business with the cannabis industry, and a London-area pot producer. 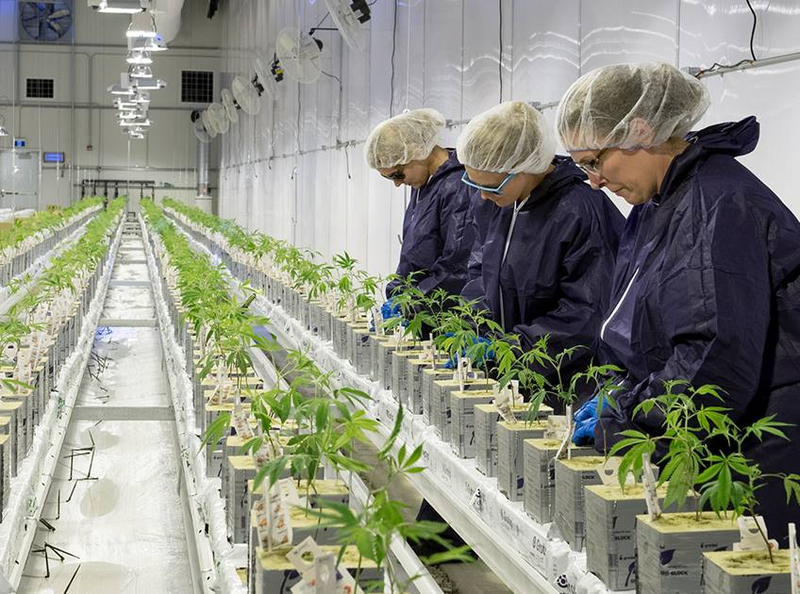 “When they came through and saw what we’re doing here, they walked away suitably impressed,” WeedMD chief executive Keith Merker said of BMO officials visiting his company’s Strathroy operation. While construction is underway to expand the greenhouse to 61,000 square metres, WeedMD also has applied to Health Canada to grow cannabis on an adjacent 20-hectare plot of land previously used to grow organic asparagus. The most aggressive of Canada’s big banks to do business with the cannabis sector, BMO first dipped its foot in the water in January, 2018, when it co-led a $175-million bought deal for Canopy Growth Corp., Canada’s largest marijuana company. 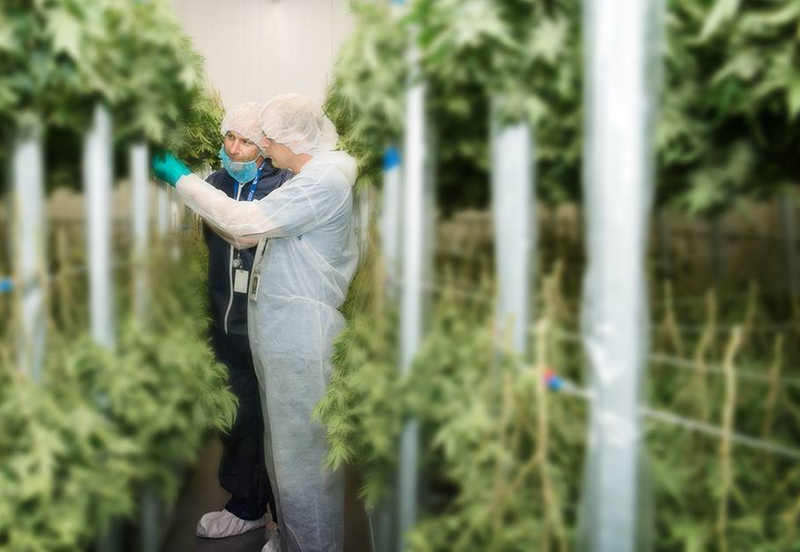 In the past month, BMO has given loans to three licensed pot producers – Emerald Health Therapeutics, Hexo Corp. and Sundial Growers – to finance expansions. BMO didn’t respond to a request for comment Tuesday. But the big banks appear to be changing their attitude about Canada’s pot industry, which is projected to hit $5 billion by 2021, according to a report from cannabis research firm Brightfield Group. Last month, Strathroy-based cannabis grower Eve and Co. secured an $18.7-million loan from Royal Bank of Canada to finance the expansion of its greenhouse operation. Back at WeedMD, workers were busy fencing off the field for the planned outdoor cultivation. 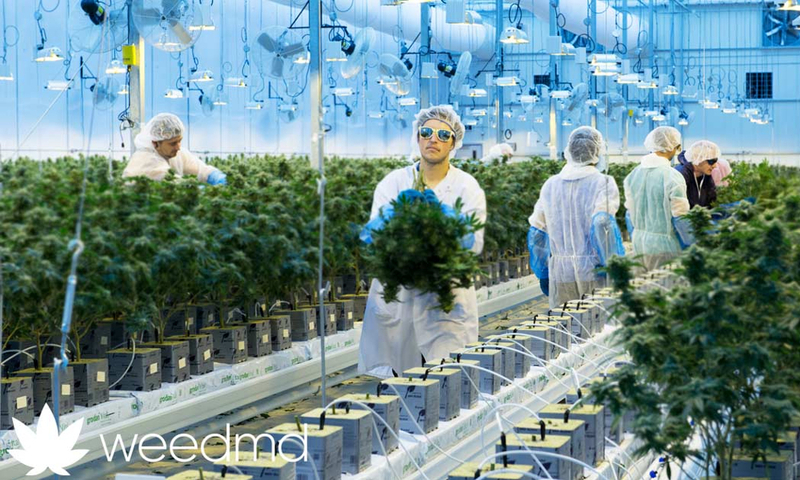 The first phase of the project, if approved, will begin in June – with the first harvest expected in the fall – and be completed in 2020, boosting WeedMD’s total production footprint to 250,800 square metres, the company says. “Cannabis itself is a plant that loves to grow outside,” said chief cannabis officer Derek Pedro, noting prohibition forced the plant to be predominantly grown indoors.